Sometimes you may have multiple expense claims that have the same details as another. To save inputting this information from scratch for each new claim, you're able to duplicate existing claims. You can do this for existing claims that are in any stage of the approvals process, even if they have been rejected, and this can be done as many times as needed. 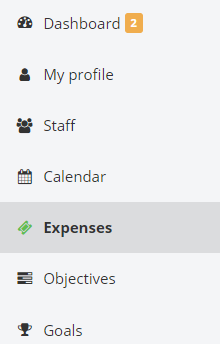 First navigate to the Expenses page using the left-hand navigation bar. Using the + icons next to each employee name, find the claim you'd like to duplicate, and click the Duplicate link. You can also do this when viewing a claim by clicking the Duplicate link in the top right corner. Duplicating the claim will direct you to a new claim with the details pre-populated exactly as they are in the original. You're then able to edit these if necessary, and save the duplicate as a brand new claim.